We, at the Smithsonian Center for Folklife and Cultural Heritage and Smithsonian Folkways Recordings, are thrilled at the news that our old friend and colleague, Phil Wiggins, has been awarded a 2017 National Heritage Fellowship from the National Endowment for the Arts. Phil has a long history with our office. He first appeared at 20 years old at our 1974 Folklife Festival as an accompanist to street gospel singer Flora Molton. He returned to perform with Molton in 1975, 1976, 1977, and 1978. During the marathon 1976 Bicentennial Folklife Festival, Phil was hired as a member of our grounds crew. During this time he started playing with pianist Big Chief Ellis and Piedmont guitarist John Cephas. He and Cephas went on to become the most important Piedmont blues duo over the next thirty plus years. They travelled extensively, visiting every continent but Antarctica. Cephas and Wiggins were frequent performers at our folk festival over the years (1983, 1985, 1987, 1988, 1994, 2006, and 2007). Phil and John were always popular festival performers. Their shows well attended. It was common to end a festival day with a dance party with Cephas and Wiggins. I recall many a time the audience rocking out to their version of “Baby, What You Want Me to Do”. Phil was always willing to sit in any other musician that needed a harp player. I remember one pre-festival party where Phil played with a jazz group, playing jazz standards on harmonica. 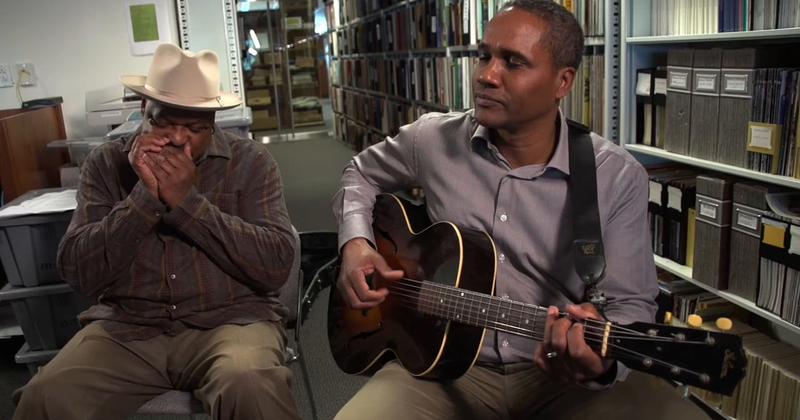 In 2008, Smithsonian Folkways released Richmond Blues, a compilation of Cephas and Wiggins’ music drawn from various sources including some of their festival recordings. They have been included on other Smithsonian Folkways blues anthologies. It is wonderful that Phil will now be joining John Cephas as a national honoree for his life’s work in the blues. Go Phil!